University of Texas Rio Grande Valley's Dan Kimasa (23) attempts a basket against Our Lady of the Lake's Alex Doche (22) in a nonconference game at the UTRGV field house Tuesday, Jan 2, 2018, in Edinburg. EDINBURG — UTRGV senior Dan Kimasa doesn’t hesitate to call the 2017-18 season the best of his career. While his averages for minutes, points and rebounds are only about half of the numbers he posted during his first two seasons, UTRGV’s win total has easily eclipsed Kimasa’s previous best. After winning no more than 10 games during Kimasa’s first three years, UTRGV is 15-15 entering the final regular-season game of his career against New Mexico State at 7 tonight in the UTRGV Fieldhouse. Kimasa entered then-UTPA in 2014-15 as one of the most heralded recruits in the program’s history. ESPN rated him as a three-star prospect and the No. 31 center in his class. He immediately earned a starting role and produced, averaging 7.3 points and 6.5 rebounds in 27.7 minutes per game with 31 starts as a freshman. He took a step forward as a sophomore, averaging 10.0 points and 6.6 rebounds in 26.2 minutes per game with 28 starts. When then-coach Dan Hipsher was reassigned and Lew Hill took over, Kimasa faced a challenging transition to a new style of play. He averaged 3.3 points and 3.3 rebounds in 13.1 minutes per game with 15 starts as a junior and is posting 4.5 points and 2.4 rebounds in 14.3 minutes per game with 17 starts as a senior. Hill said Kimasa took the change in stride. Even this season, Kimasa started UTRGV’s first four games and later a streak of 13 straight, but he’s come off the bench in every game since Jan. 27. Kimasa will be the only four-year player to graduate from UTRGV this season, and players with his longevity have been a rarity for the program in recent years. The program did not graduate a four-year player in 2015 or 2017 and will not graduate one in 2019, either. Shaq Hines was the only four-year player to graduate in 2016. As the program has grown and undergone a coaching change, Kimasa said the mentality and culture around the team have shifted to become more positive, caring, family oriented and hardworking. He said he was honored to have stayed through four seasons and to represent his home country of Rwanda. Kimasa and fellow UTRGV senior Adonis Rwabigwi are believed to be the only two NCAA student-athletes from Rwanda. Kimasa has 98 career blocks and will likely finish third on the program’s all-time career list, and he said he plans to play for the Rwandan national team after graduation. He majored in finance, has a minor in economics and said he will also earn a minor in communications with one more summer class. In addition to Kimasa and Rwabigwi — a redshirt senior who played his freshman year at Furman — UTRGV is set to graduate Nick Dixon, Mike Hoffman and Moe McDonald. 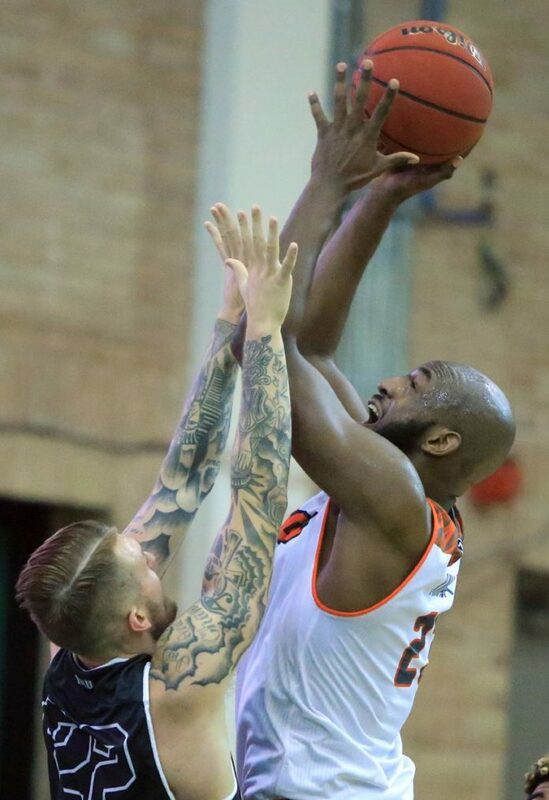 Dixon, the team’s leading scorer at 20.7 points per game, is wrapping up his second year at UTRGV after playing two seasons at Morton College. Hoffman played at Lafayette from 2013-15 before transferring to UTRGV. McDonald started his career with a redshirt at UTPA in 2013-14, played as a redshirt freshman in 2014-15, went to Highland Community College for a season and then returned to the program last year. All are on pace to graduate, Hill said.